Pesticides (plant protection products) are used to protect crops from damage due to for example insects, fungi, bacteria, or weeds. It is estimated that about 1100 chemicals have been developed or isolated to be used as pesticides. Not all are still used however, as some are banned or obsolete. 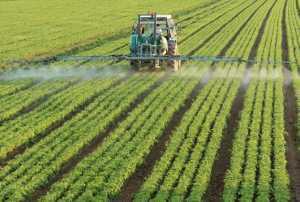 The use of pesticides may result in residues on crop commodities. To protect the health of the consumer MRLs are set. Generally, not only safety concerns play a role however. When the use of a pesticide according to ‘Good Agricultural Practice’ leads to lower residue levels, these levels are used to set MRLs. 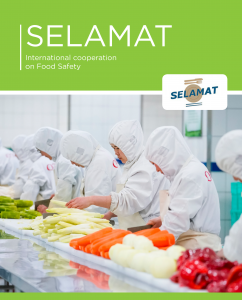 According to the Agreement on the Application of Sanitary and Phytosanitary Measures (SPM) and Agreement on Technical Barriers to Trade food safety standards for pesticide residues established by the Codex Alimentarius Commission are the reference points in international trade. Thus far, Codex established MRLs for about 225 pesticides (and for numerous pesticide/commodity combinations). Once accepted, member states of Codex are expected to implement these MRLs in national (or community) law. Deviations from Codex MRLs are possible but have to be substantiated with scientific proof of risk. A lot of countries refer to Codex for the MRLs or Extraneous Maximum Residue Limits (EMRLs) (Codex database (E)MRLs pesticides) of pesticides. The number of chemicals with Codex MRLs is however limited, the European Union (EU) for instance established pesticide MRLs for more than 500 specific pesticides, and a default MRL of 0.01 mg/kg was established for all pesticides not mentioned by name in the EU Regulations. Achieving global harmonization of MRLs via Codex is an ongoing process. In the section below, you will be able to find links to information on regional MRL setting or legislation. The list will be extended in course of time. In the past, members of the European Union all had their own maximum residue levels (MRLs) for residues of pesticides in food. Because this frequently led to trade problems between member states, harmonization of MRLs in the EU was started in the 70sIn 2005 the Council and Parliament adopted Residue Regulation (EC) No 396/2005. This regulation superseded all previous EU and national legislation on MRLs for residues of pesticides as of September 1, 2008. MRLs are nowadays set only at the EU level (like for residues of veterinary drugs). The first annex of Regulation (EC) No 396/2005 contains a list of products for which the MRLs are established. For products not listed yet in this annex (like some products used only to feed animals) MRLs do not apply. The second and third annex of Regulation (EC) No 396/2005 contains the harmonized EU MRLs . The fourth annex contains a list of substances for which no MRLs are required. Furthermore in annex V substances can be found for which special analytical limits were set. For all substances for which no specific MRLs are established in annex II-V, a default MRL applies of 0.01 mg/kg (Regulation (EC) No 396/2005, article 18 (1b)). There now is a database in which the EU MRLs for residues of pesticides can be found (links to the original legal documents are included). To protect the very young in processed foods for infants and young children separate, very low EU-MRLs are set in the Directives 2006/141/EC and 2006/125/EC and amendments. EU Regulations and Directives can be found as pdf-files at the Eur-lex website. To obtain the consolidated versions (in which amendments are included) click on ‘simple search’ then on ‘consolidated text’, and enter the year (xxxx) and the number of the Regulation respectively the Directive. To obtain the original documents you should search using ‘natural number’, make sure then that you also search for potential amendments.